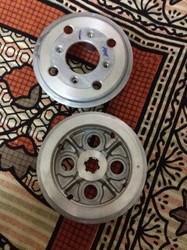 We are one of the finest company in the industry, involved in Manufacturing, Supplying and Exporting Motorcycle Brake and Clutch (Lever and Yoke) in Sohna, Haryana, India. The products offered by us have long service life, and are easily available at standard market price. Our ranges of Clutch Center Motorcycle are made keeping in view the growing customers tastes and requirements. These are highly customized and suit the engines of almost all the bikes. They are mainly used for aligning the center holes in the clutch plates and make it fit easily on the splines of the crankshaft. 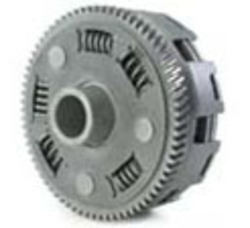 Our entity is among the trusted names, involved in providing high quality series of Caliber Clutch Packing Set. Our products are admired by the customers for durability and rust free nature.